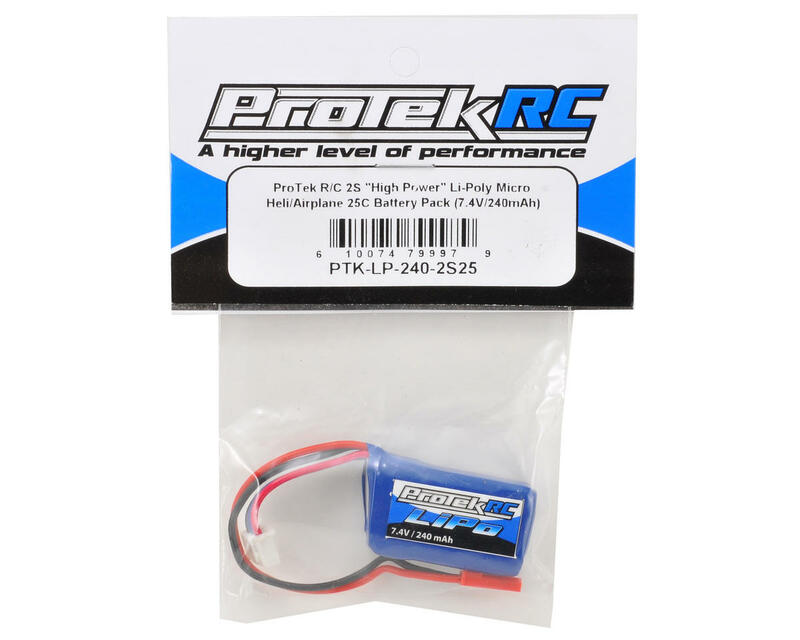 This is a Li-Poly 2S 240mAh battery pack from ProTek R/C. This super light weight micro size Li-Poly battery is designed to power small lightweight aircraft usually flown indoors. 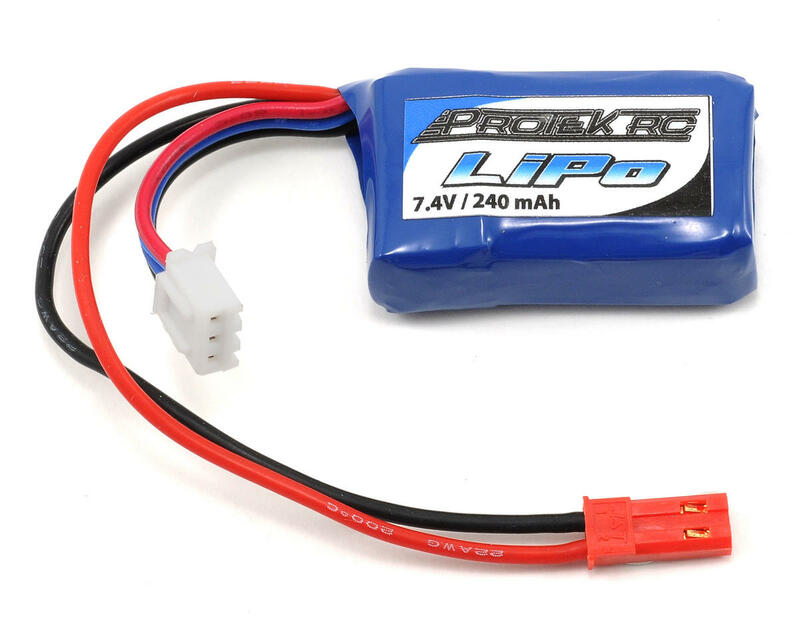 This lightweight Li-Poly 30C battery pack is designed to fit radio controlled planes and helicopters that use a 22 x 39 x 12mm 2S battery. These are a true 25C battery pack, and with a full 30C discharge capacity and light weight, these batteries are a power house for compatible helicopters and airplanes. This battery is also a perfect fit in the battery tray of the Orlandoo Hunter line of micro trucks! Recommended Application: Small indoor type aircraft.